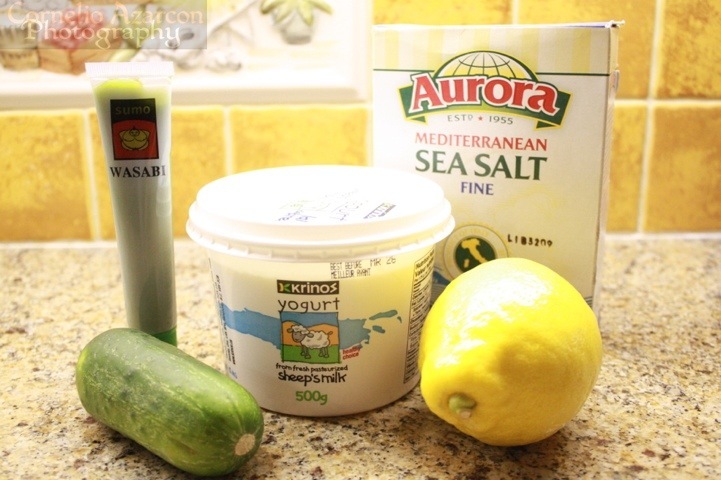 Place the yogurt and chopped cucumber in a bowl. Add 2 tsp of wasabe paste and mix thoroughly. If you want an added kick, add more wasabe. Squeeze some lemon juice on the steak. Add sesame seeds, just enough to slightly coat the steak. 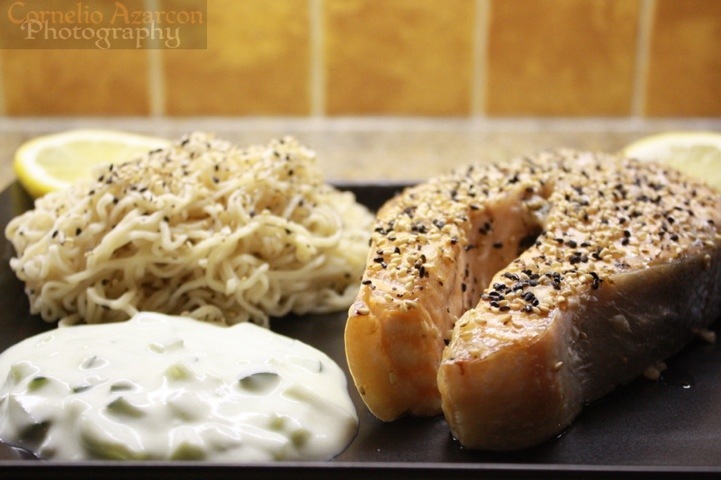 Place the salmon steak on a cookie sheet or aluminum tray. 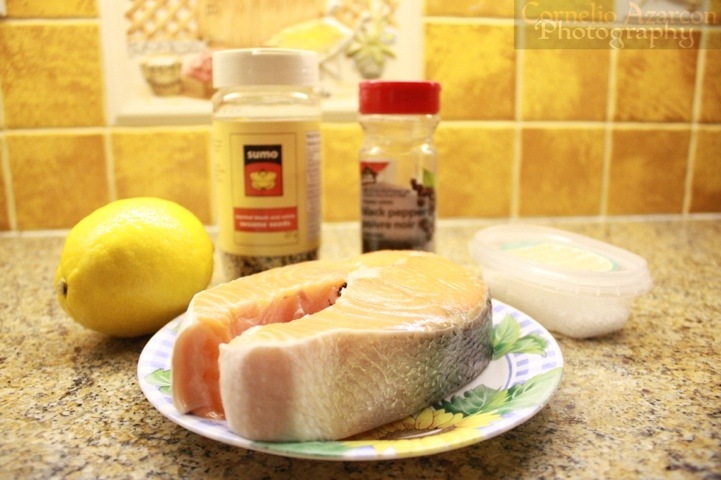 Place tray in oven and cook for 25 minutes or until your salmon steak is cooked. Cooking times may vary on types of ovens and size of steak. 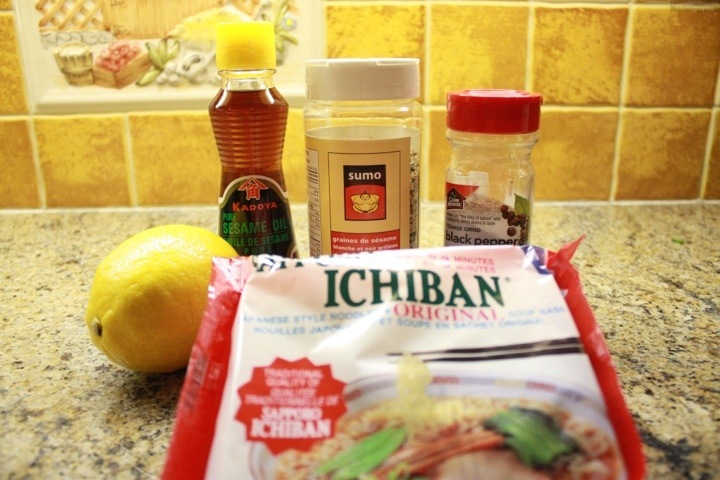 Add the ramen noodles to the pot and cook for 3 minutes. Drain water from noodles using a strainer. Run the noodles under cold water or dip and soak noodles in cold water. Pour drained ramen noodles in a medium sized bowl. Pour about 1 Tbsp of sesame oil into the bowl. Add a few dashes of ground black pepper. Add a few dashes of sesame seeds.